Following the high-profile failure of the opinion polls to predict the 2015 UK General Election there has been much debate about how the quality of polling could be improved. However, what if one wanted to measure public opinion, but public opinion polls didn’t exist? Three alternatives to opinion polls are considered: 1) how public opinion was assessed before public opinion polls originated in the 1930s 2) what Hong Kong has done as part of the process of revising its political system 3) how various forms of Big Data could be utilized. The talk discusses what these alternatives methods can and cannot measure and the advantages and disadvantages of each. For example, what Big Data might be used to measure public opinion (Tweets, Facebook postings, blogs, websites etc.) and what are the strengths and weaknesses of the Big Data alternatives? The alternatives will be compared to public opinion polls in terms of such important factors as target population coverage, representativeness, validity, accuracy, reliability, and fitness for use. Finally, the merits of a both-and vs. either-or approach to measuring public opinion with or without opinion polls will be considered. 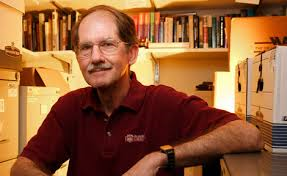 Dr. Tom W. Smith is an expert in survey research specializing in the study of societal change and survey methodology. Since 1980 he has been a principal investigator of the National Data Program for the Social Sciences and director of its General Social Survey (GSS) at NORC at the University of Chicago. Dr. Smith was co-founder and Secretary General of the International Social Survey Program (1997-2003). In 2009-14 he served in the presidency of the World Association for Public Opinion Research. This event is organised by the Centre for Comparative Social Surveys at City University London, home of the European Social Survey European Research Infrastructure (ESS ERIC).